[New York: The Jewish Museum, 1970. First edition. pp. Illustrated wraps, full plate black and white prints, original drawings with inscription on front and back endpapers and first page. Wraps lightly scuffed. First edition. pp. INSCRIBED, WITH DRAWINGS. An exhibition catalogue from The Jewish Museum's 1970 exhibit "The Forest," a collection of Kadishman's abstract landscape works. Both endpapers feature playful original drawings of strange creatures resembling birds, humans, and cats, all with heads in the shape of a Star of David. The drawings are inscribed to the recipients of the catalogue, "with Love and Amore"
2007-01-08. Good. Ships with Tracking Number! INTERNATIONAL WORLDWIDE Shipping available. May not contain Access Codes or Supplements. May be ex-library. Shipping & Handling by region. Buy with confidence, excellent customer service! Beijing Yanshan Press, 2015-10-1. hardcover. New. Ship out in 2 business day, And Fast shipping, Free Tracking number will be provided after the shipment.Language:Chinese.HardCover. Pub Date: 2015-10-1 Pages: 175 Publisher: Beijing Yanshan Press Faulkner novel is complex and natural awareness hunting showcase. through hunting activities depiction portrays the hunter's life and the countryside of the South picture of life. Theme of the novel involves more pure than the other novels of Faulkner. that is how man and nature in harmony. Faulkner will develop Shun Cheng described the savage hunting and civilization. strongly criticized the developme... Satisfaction guaranteed,or money back. China Electric Power Press, 2013-10-01. hardcover. New. Ship out in 2 business day, And Fast shipping, Free Tracking number will be provided after the shipment.HardCover. Pub Date :2013-10-01 Pages: 1 Language: Chinese Publisher: China Electric Power Press There was once a forest ...... Australia's most cutting-edge talent endowed picture book writer brings us a timeless. touching story. Satisfaction guaranteed,or money back. Xi 'an press., 2017-04-01. paperback. New. Ship out in 2 business day, And Fast shipping, Free Tracking number will be provided after the shipment.Paperback. Pub Date: 2017-04-01 Pages: 204 Language: Chinese Publisher: xi 'an press when the time the old man sent to spring. the nature of all things escape from the shackles of winter cold. began to stretch arms and legs. a good game. all the creatures started his new life. full of smiling bathed in the spring breeze.The sun... Satisfaction guaranteed,or money back. Shanghai popular science press, 2015-08-01. paperback. New. Ship out in 2 business day, And Fast shipping, Free Tracking number will be provided after the shipment.Paperback. 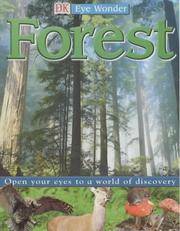 Pub Date: 2015-08-01 Pages: 105 Language: Chinese Publisher: Shanghai popular science press more fun in the forest. each animal has its own way of life. deducing the other earthly fireworks in all the year round.To read carefully. these small animals is more approachable. seems to be all day playing next door neighbor general... Satisfaction guaranteed,or money back. Coal industry publishing house, 2016-05-01. paperback. New. Ship out in 2 business day, And Fast shipping, Free Tracking number will be provided after the shipment.Paperback. Pub Date: 2016-05-01 Pages: 147 Language: Chinese Publisher: coal industry publishing house from the forest (phonetic barrier-free reading coloured drawing or pattern) accompany children to grow up reading classic a knack in the form of newspapers. introduces the large variety of plants and animals in the forest all the year round.The words in the book style many more... Satisfaction guaranteed,or money back. China Population Press, 2015-01-01. paperback. New. Ship out in 2 business day, And Fast shipping, Free Tracking number will be provided after the shipment.Language:Chinese.Pub Date: 2015-01-01 Publisher: China Population Press appropriate reading groups: 7-10 years old Satisfaction guaranteed,or money back. Xi 'an press., 2017-04-01. paperback. New. Ship out in 2 business day, And Fast shipping, Free Tracking number will be provided after the shipment.Paperback. Pub Date: 2017-04-01 Pages: 133 Language: Chinese Publisher: xi 'an press In winter. but of the time the old man left the earth a ordeal.It will get people to exercise more strong.Waving when winter cold to enter the room. with the strength of the residents have been ready to play.This is a biological and nature... Satisfaction guaranteed,or money back. Bounty Books, 1999. Hardcover. Acceptable. Disclaimer:A readable copy. All pages are intact, and the cover is intact. Pages can include considerable notes-in pen or highlighter-but the notes cannot obscure the text. At ThriftBooks, our motto is: Read More, Spend Less.Dust jacket quality is not guaranteed. Nasher Museum of Art at Duke University . softcover. New. Sanchez Sanchez, Isidro, Peris, Carme, Sanchez, I. New. *FIRST EDITION* Has remainder mark. Brand new copy, mint condition, gift quality. Ships fast & secure, expedited available! 1993. Tankobon Hardcover. Acceptable. Disclaimer:A readable copy. All pages are intact, and the cover is intact. Pages can include considerable notes-in pen or highlighter-but the notes cannot obscure the text. At ThriftBooks, our motto is: Read More, Spend Less.Dust jacket quality is not guaranteed. Shinchosha. Paperback Bunko. Good. Disclaimer:A copy that has been read, but remains in clean condition. All pages are intact, and the cover is intact. The spine may show signs of wear. Pages can include limited notes and highlighting, and the copy can include previous owner inscriptions. At ThriftBooks, our motto is: Read More, Spend Less.Dust jacket quality is not guaranteed. Lernerclassroom, 2005-01-01. Paperback. Good. From a private library with stickers and checkout sleeve. Otherwise near new condition. Fine. Has remainder mark. LIKE NEW: Little to no shelf wear, no signs of use. Ships fast & secure, expedited available! B Jain Publishers Pvt Ltd. Paperback. 8131913392 . New. 2011-03-30. UK ed..
B Jain Publishers Pvt Ltd. PAPERBACK. 8131913392 . New. Paradise Press, 2003. Board book. Acceptable. Disclaimer:A readable copy. All pages are intact, and the cover is intact. Pages can include considerable notes-in pen or highlighter-but the notes cannot obscure the text. At ThriftBooks, our motto is: Read More, Spend Less.Dust jacket quality is not guaranteed. Paradise Press, Incorporated, 2000. Board book. Very Good. Disclaimer:A copy that has been read, but remains in excellent condition. Pages are intact and are not marred by notes or highlighting, but may contain a neat previous owner name. The spine remains undamaged. At ThriftBooks, our motto is: Read More, Spend Less.Dust jacket quality is not guaranteed. Paradise Press, 2003-01-01. Board book. Like New.